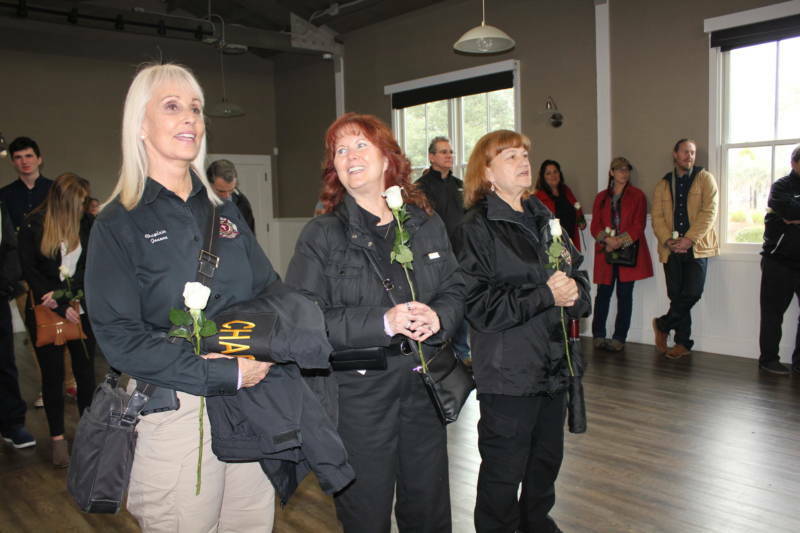 More than 100 mourners gathered at the Yountville Community Center on Saturday to mark the one-year anniversary of the shooting at a veterans therapy center that left three clinicians dead, including a pregnant woman. On March 9, 2018, U.S. Army veteran Albert Wong broke into a building on the Veterans Home of California campus that housed The Pathway Home, a nonprofit program for veterans and families, carrying an automatic rifle and a double-barreled shotgun, extra magazines and ammunition. He killed Dr. Jennifer Gray Golick, 42, Christine Loeber, 48, and Dr. Jennifer Gonzales Shushereba, 32, before killing himself. Gonzales Shushereba was six months pregnant, and her unborn baby also died. Wong served in Afghanistan and had been kicked out of The Pathway Home program where he had sought treatment for post-traumatic stress disorder weeks earlier. "I am still heartbroken," said Loni Gray, Golick's mother, at Saturday's memorial. Yountville's town manager Steve Rogers told the crowd — each of whom held a white rose — that the tragedy put the wine country locale on a new map directly in the middle of conversations about the country's mental heath crisis, gun control and how the country treats its most traumatized warriors. "It wasn't a map that the community asked for," he said. The anniversary comes on the heels of lawsuits by families of the victims against the since-closed Pathway Home, state and local authorities for allegedly not doing enough to prevent their deaths. 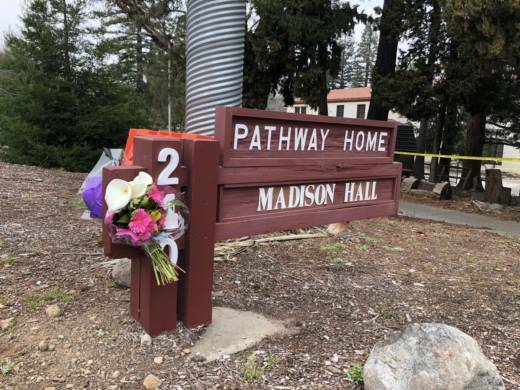 A 2010 report by the California Highway Patrol found security shortcomings at the facility, and another CHP report from November 2018 showed that Wong had bypassed security on the day of the shooting by entering the building through a door he had propped open the previous night. In addition to allegations of security shortcomings surrounding The Pathway Home, at least one former employee has claimed that budget cuts left center ill-equipped to treat veterans with extreme cases of combat trauma. Representatives for The Pathway Home, the Napa County Sheriff's Office and the California Department of Veterans Affairs declined to comment on the pending litigation.